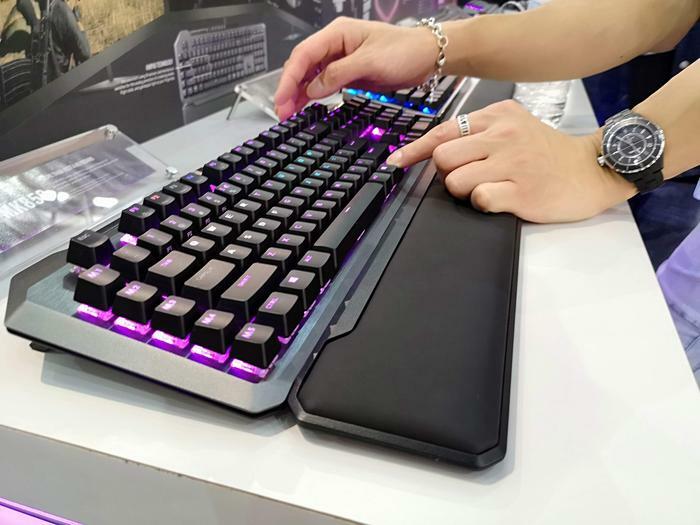 Cooler Master are looking to renew their presence in the gaming peripheral space with an impressive showing at this year's Computex in Taiwan, headlined by a mouse that can be used to count your kills. 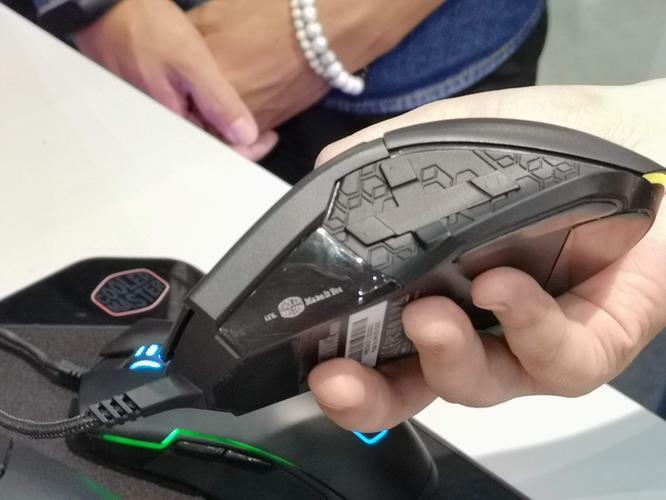 The Cooler Master MM830 is a gaming mouse with RGB-illumination and a 24,000 DPI sensor. It also features a hidden rubber D-Pad on the side and a slick OLED display that can be used to show anything from your PCs temperature to the number of kills you get in a game. The D-Pad on the side is similarly programmable. Whether these additions to the usual formula will prove game-changer or gimmicks in the long run is unknown. However, it's always interesting to see new innovations in the gaming peripheral space. Cooler Master told us that this product would be coming to Australia but local pricing was still being finalised. 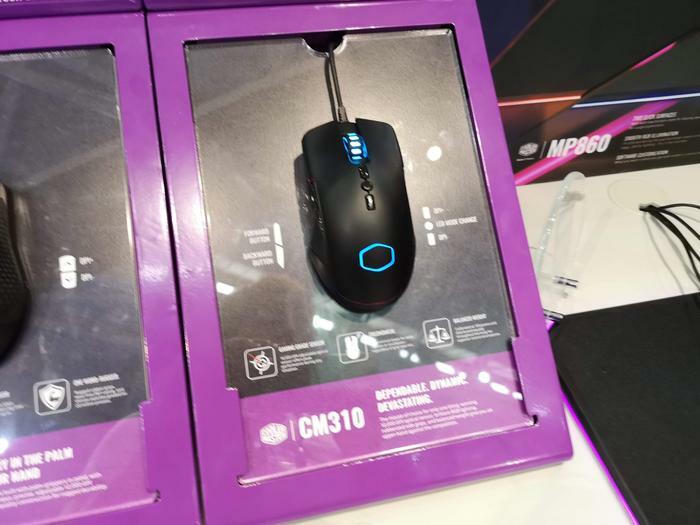 These aren't the only gaming mice on the Cooler Master menu this year, with the MM531 and CM310 also due to arrive in Australia later this month. The MM531 features a 120,000 DPI sensor and will be priced at $69. The CM310 drops that down to 10,000DPI and $49. Both mice feature full integration with Cooler Master's RGB lighting ecosystem and will be available through Cooler Master's usual reseller partners and select EB Games outlets later this month. The company are pushing similarly aggressive pricing for their latest gaming headsets. The MH751 promises plush earcups, easy ergonomics and 2.0-channel sound. It's priced at $99 and due for the Australian market in August. The MH752 raises the bar to 7.1-channel surround sound and comes with a USB-control dongle. Surprisingly, it only comes in at $129 when it comes to local pricing. 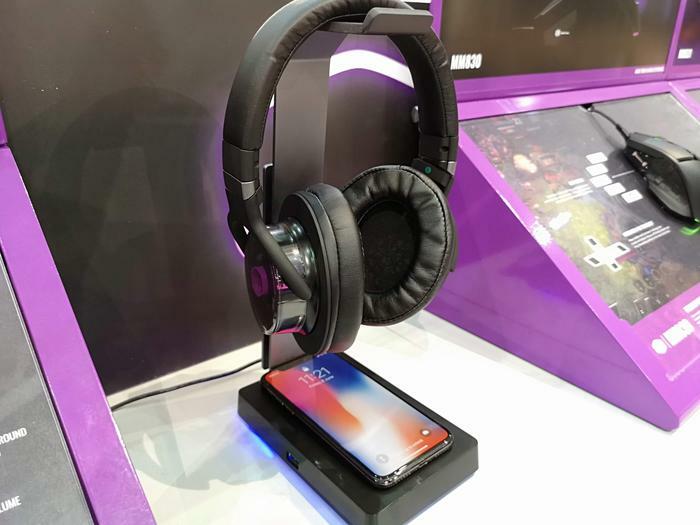 There's also a neat new Wireless Headset in the works with a stand that doubles as a Qi wireless charger. No confirmed Australian pricing or availability for that one yet. Stay tuned. Last but not least, Cooler Master have also got several new keyboards. The MK850 and MK730 feature Cherry MX switches, RGB illumination and a magnetic detachable wrist-rest. The former also incorporates a new feature called AIMPAD. When enabled, AIMPAD uses sensors to measure the speed and force with which you press certain keys and modify the inputs accordingly. For example, pressing a button slowly in an action game might make your character walk while hitting the key fast would make them run. Essentially, the idea is to bring that little bit of extra nuance you get out of joystick controls to WASD. Both the MK850 and MK730 are due in Q3, with pricing for the former starting at $229. 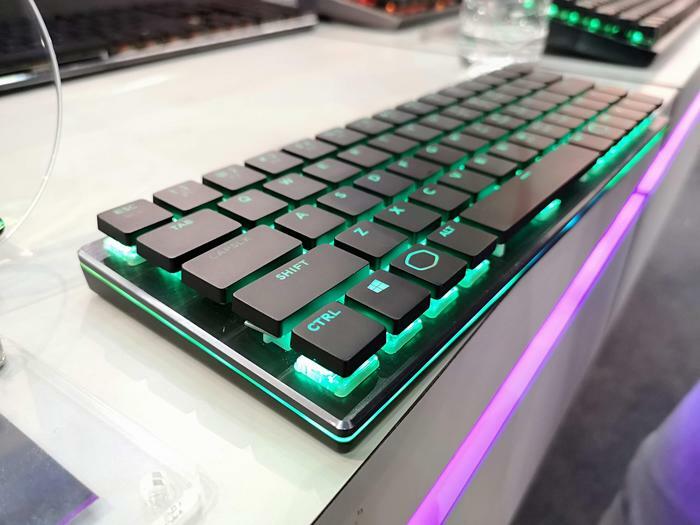 Cooler Master also showed off several more-minimalist keyboards. These slab-like products featured full per-key RGB lighting and achieved a low-profile while utilising fully-featured Cherry MX Red keyswitches. No word yet on Australian availability or pricing but expect more news to come later in the year.